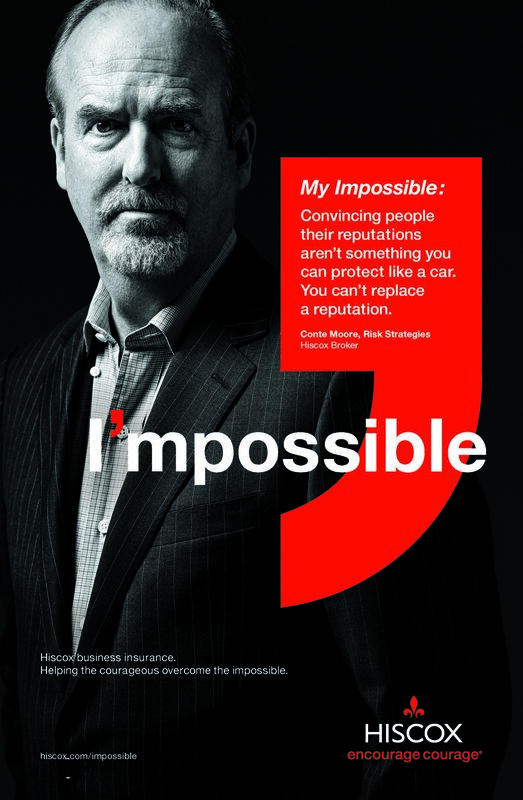 Hiscox is a small-business insurance company that wants to encourage courage in business. The campaign premise was that when you approach a challenge with courage, the seemingly impossible becomes possible. We created a device where the word “impossible” could be completely transformed by adding a single red apostrophe (derived from part of the red Hiscox fleur-de-lis). We launched the campaign with a full-page ad in The Wall Street Journal as if America had lost its courage. We followed it with a series of testimonial ads of courageous Hiscox customers recounting personal stories of overcoming seemingly impossible challenges. Each person was photographed to look like the heroes they actually are. We wanted to encourage their courage. 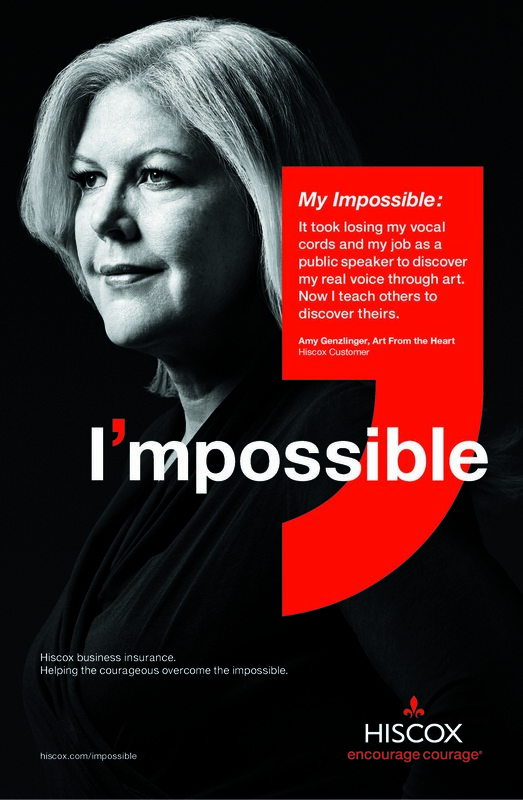 Hiscox is a small-business insurance company that wants to encourage courage in business. Our campaign premise was that when you approach a challenge with courage, the seemingly impossible becomes possible. We created a device where the word “impossible” could be completely transformed by adding a single red apostrophe (derived from part of the red Hiscox fleur-de-lis). We launched the campaign with a full-page ad in The Wall Street Journal as if America had lost its courage. We followed it with a series of testimonial ads of courageous Hiscox customers recounting personal stories of overcoming seemingly impossible challenges. Each person was photographed to look like the heroes they actually are. We wanted to encourage their courage.